Identity theft, data breaches and phishing scams – today’s news feeds are unfortunately full of stories about people and companies becoming victims of cybercrimes. According to the recent study “2018 Identity Fraud: Fraud Enters A New Era of Complexity” performed by Javelin Strategy and Research found that there were a record 17.6 million cases of identity theft reported in 2017. This is an increase of 12% from the previous year. Fortunately, there are many things you can do yourself to help prevent online thieves from obtaining your information. One of them is to make your online activity harder to identify by remaining anonymous in, something that CyberGhost has positioned itself to do very well over the last several years.We’ll take a look at this Bucharest-based company and how it is helping more than 30 million users from countries across the globe keep their web surfing anonymous while providing them with other features to help manage their online security. CyberGhost was founded in 2011 in Bucharest, Romania. Today, it offers one of the world’s most reliable privacy and security solutions. Click here to download Cyber Ghost now! The company champions privacy as a basic human right and is the first in the industry to publish a transparency report about industry issues. Led by Robert Knapp, Co-founder and Chief Executive Officer, CyberGhost has a team of some 70 highly trained professionals with extensive IT experience working in Romania and in Germany. CyberGhost is a major supporter of a free society, civil rights, and an uncensored Internet culture. It began with 67,000 users and 67 servers in 2011. Today, it has over 30 million users securely accessing its more than 3,500 servers around the world, including in the United States. 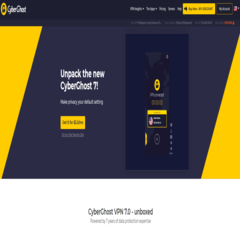 CyberGhost provides a Virtual Private Network (VPN) that encrypts your online connections. This greatly increases your online privacy and security. The company’s VPN uses a carefully encoded tunnel between your online device and one of its servers. This special software cannot be intercepted, meaning all of your Internet activity is hidden under a new Internet Protocol (IP) address so you can’t be identified. CyberGhost provides many features as part of its service. Here are some of the key ones. The company takes your unique and original IP address and replaces it with one from its IP network. This makes it impossible for websites and scammers to track your online activity. CyberGhost then takes that same IP address and shares it with other uses on its servers, making all users unidentifiable. Not only is your IP address secure, the company’s VPN servers are built and designed so that it always communicates with any device in the most secure way available. It encrypts your data with 256-AES bit technology so that your personal and financial information, including credit card and bank account numbers and private conversations, are secure through Ethernet and Wi-Fi networks. While CyberGhost makes it extremely difficult for others to get to your data, the company itself has a strict no logs policy. This means that its servers keep no logs of your activity over the Internet. This ensures there’s no way someone could track you back after you’ve visited a certain website if you were connected to a CyberGhost VPN Server. The company’s VPN works on all major operating system platforms and devices, including iOS, Android, Mac and Windows. 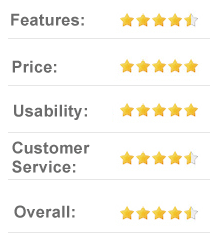 Its top-of-the-line software protects up to seven of your devices at the same time. 100 percent customizable VPN experience. Another advantage of CyberGhost is that its VPN allows you to bypass filters and access Facebook if the social media platform is blocked at your school, university, workplace or even country. This makes it particularly useful if you encounter websites that are restricted while traveling abroad for business or vacation. Some countries, such as Turkey and China, censure portions of the Internet, blocking common websites such as YouTube, Facebook and Twitter. In the U.S., CyberGhost offers a monthly plans for $12.99 a month with a 45-day money-back guarantee. Select the annual plan at the start for just $63, which comes out to just $5.25 a month. You can glean even more savings by selecting a two year plan, which runs $3.69 a month, which is less than $90 for the whole two years. Signing up for CyberGhost is easy. Simply select a plan, create a secure account online and complete your purchase. Payment options include credit and debit cards, PayPal, and Bitcoin. You’ll receive an email that has your activation key and other information to use after you download the software. The company has a 45-day, no questions asked refund policy for all of its products. Canceling a subscription is just as easy. 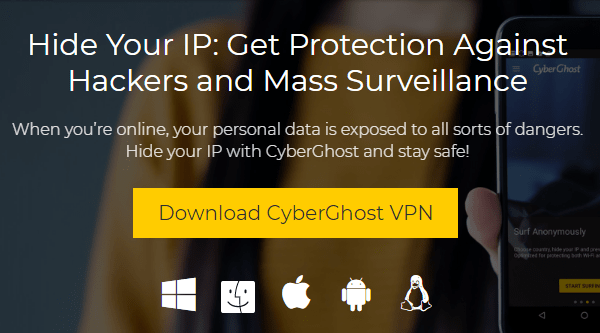 The CyberGhost VPN Service is available for free for 24 hours. This gives full-access to the service so you can ‘try-before-you-buy’. The free trial is available without a credit card. Higher data throughput via servers reserved for private customers. Depending on the respective server uplink, the speed can even reach the speed of a user’s usual Internet connection. No forced disconnection after three hours of surfing uninterruptedly. CyberGhost has been praised for its multiple competitive plans with a free option, the simplicity and ease of use of its website and its account set up. Reviewers also praised the company’s transparency and willingness to have public discussions about security and privacy issues in this field, which is uncommon among VPN providers. Some of the negative feedback received is that CyberGhost’s interface is more geared toward VPN beginners and that it doesn’t provide enough functionality for more experienced users who may want to further customize their settings. Also, live support had limited working hours, and those were based on Eastern European times. CyberGhost makes it easy to install its VPN software on any computer, and you don’t have to be tech-savvy to do so. Its website provides ways customers can get information and support. The company provides Help Guides and an extensive Frequently Asked Questions list that answers many of the questions prospective and current customers might have. If that doesn’t help, you can start a Live Chat with representatives. Finally, you can submit a ticket to request assistance with your particular issue. The company also has a blog that discusses various industry-related topics, including privacy and security news. 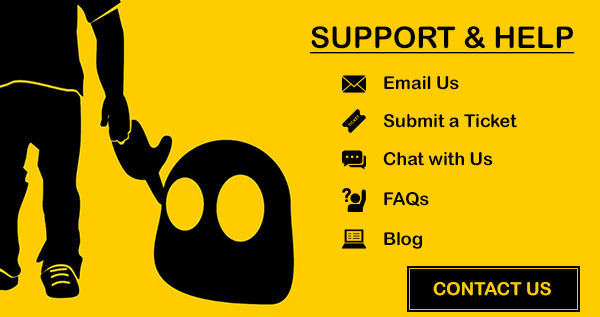 CyberGhost is not just a VPN company but also an advocate for civil liberties and freedom of speech. As part of its advocacy efforts, it provides free VPN service to organizations that support research for journalists and access to the free Internet. CyberGhost also offers an affiliate program that allows its partners to earn up to 50 percent commission rates for new and recurring orders. The program comes with a variety of advertising materials, customized landing pages, statistics, promotions and performance-based incentives. Overall, it is easy to see how CyberGhost’s products and social advocacy help combat and raise awareness of cybercrime and related issues. The company’s global reach, user-friendly website and state-of-the-art technology make it a top choice when you decide it is time to use a VPN service to go online anonymously.